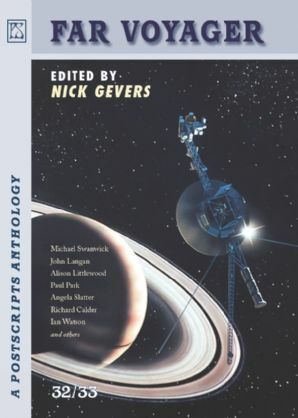 At long last the latest PS Postscripts anthology is available! It contains my story “Winter Children”, as well as tales by Lisa L Hannett, Angie Rega, Suze Willis, Alan Baxter, Gio Clairval, Rio Youers, Alison Littlewood, Gary Fry, and many others! You can order Far Voyager here. This entry was posted in News and tagged Alan Baxter, alison littlewood, angela slatter, angie rega, Far Voyager, gary fry, gio clairval, Lisa L Hannett, Postscripts 32/33, ps publishing, Rio Youers, suze willis. Bookmark the permalink.